In 2016, EDI reconstituted a working group to define, prioritize, review and test EML Congruence Checks, and to serve as the information conduit for the larger community. A report was given to the LTER IMC at their annual meeting, in Bloomington IN, in the summer of 2017. All ECC material is stored in github: https://github.com/EDIorg/ecc. This update describes our experiences with checks introduced or considered in 2017. Entity checksums: enhance efficiency since metadata can be updated without the need to upload a new data entity. Some submitters do not yet have an efficient way of creating checksums, and EDI is providing some direction. Data packages can be uploaded without an entity checksum. Datetime: Parseable datetimes make the handling of values more straightforward for data users. The ECC now examines the dateTime/formatString in metadata and compares the strings to a preferred list. Handling of datetimes in data records is complex, and the code is now implemented in the staging environment, so that it can be hardened by testing against actual values. 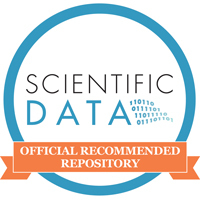 Project funding: Funders are beginning to request from repositories a mechanism for creating data set inventories by funding code. To meet this anticipated need, EDI is examining the feasibility of a check for the presence of project/funding.